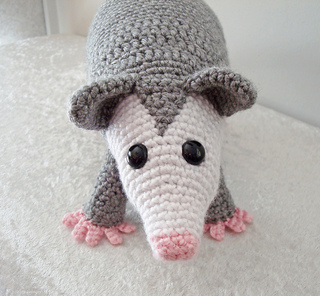 This listing is for an Adobe Pdf file of a crochet pattern for an Opossum. 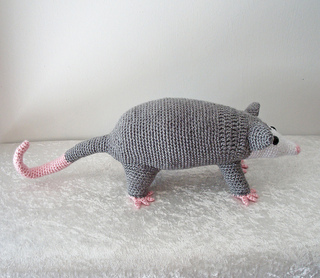 Please note that this is a pattern only, the finished item is not included. 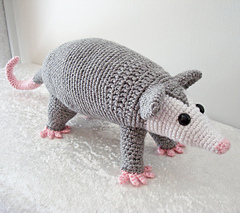 The pattern is crocheted in a continuous spiral and requires knowledge of the following stitches (including increases and decreases): chain, slip stitch, single crochet, half double crochet, and double crochet. Item size will depend on the weight of yarn used. The sample was crocheted using worsted weight acrylic yarn and size F crochet hook. 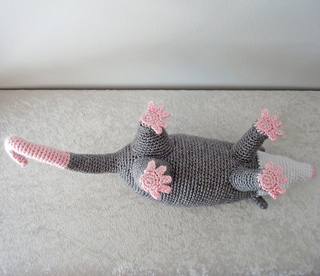 Sample size is 5” tall, 4 1/2” wide and 17”long from tip of nose to end of tail. Body is 10” long and tail is 7” long.